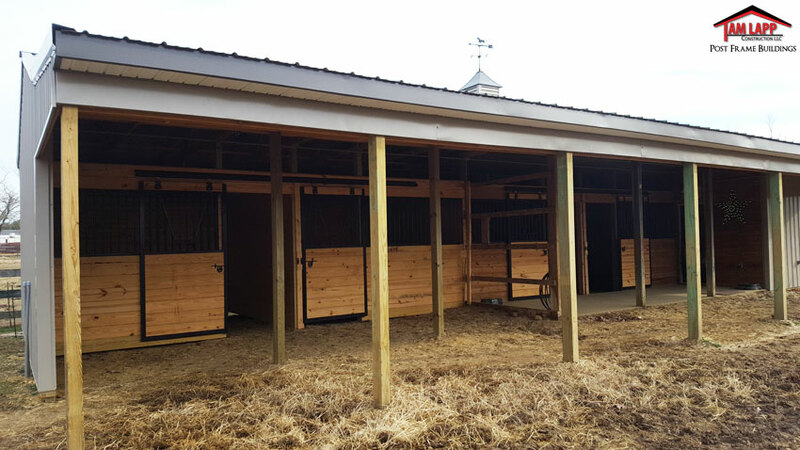 ​New Addition Size Added on above Existing Building: 20’W x 24’L x10’H (To Accommodate For New 24’ L Stall Area). 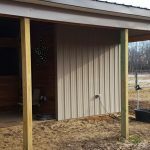 ​New Open Lean-To Porch Added to Entire Length: 8’W x 56’L x 8’H. 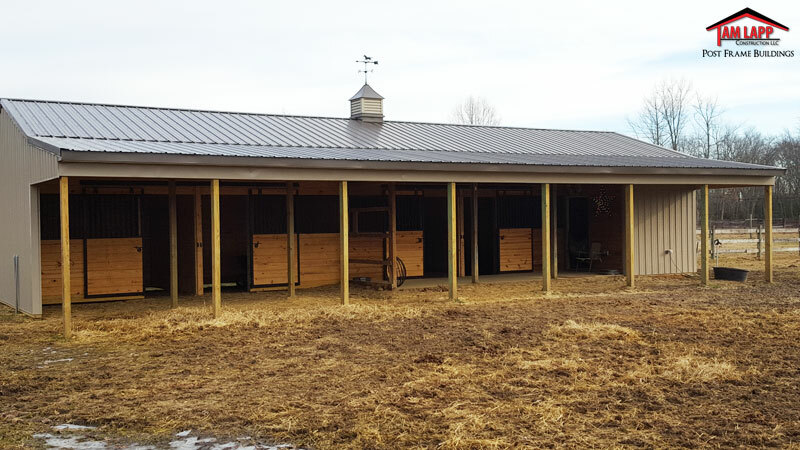 ​Roofing & Siding: Metal Roofing and Siding. 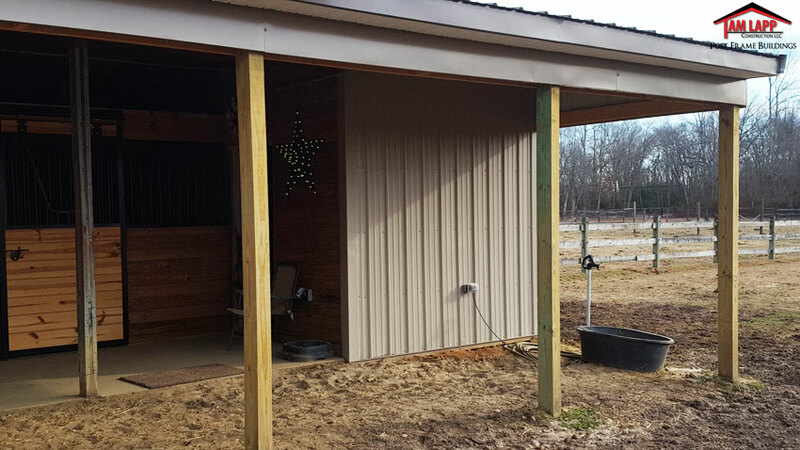 ​Roof Overhangs: Overhang boxed-in w/ white vented soffit w/ steel fascia trim: 12” Sidewalls. 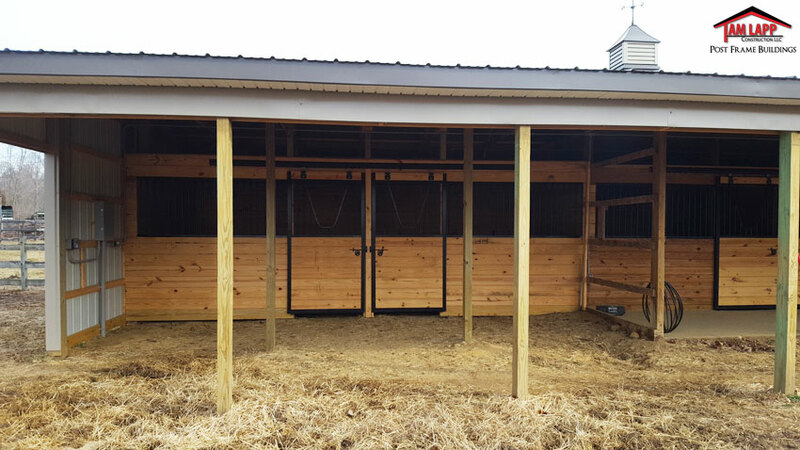 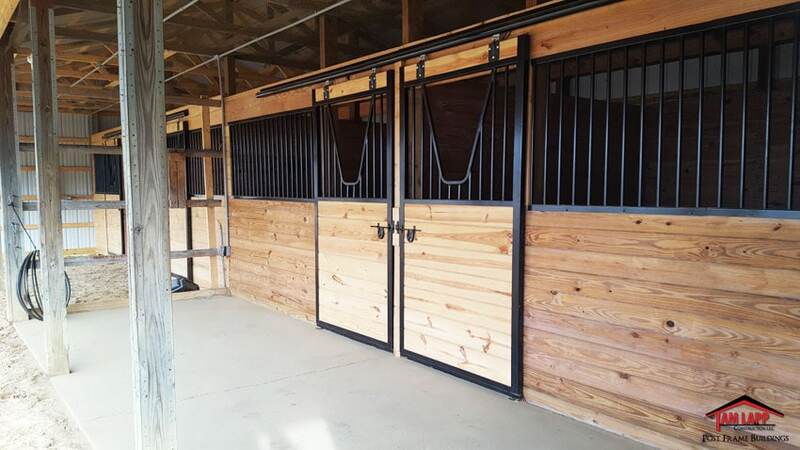 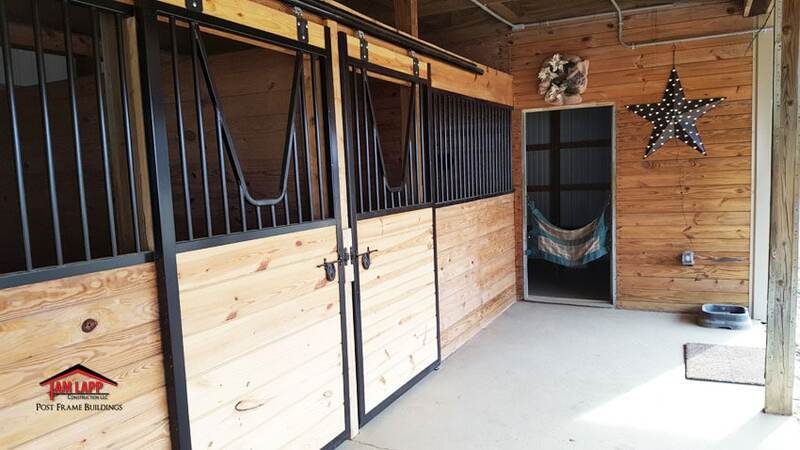 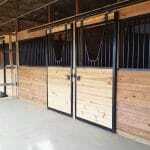 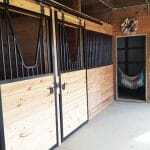 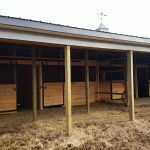 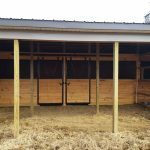 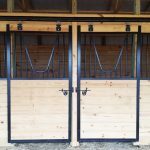 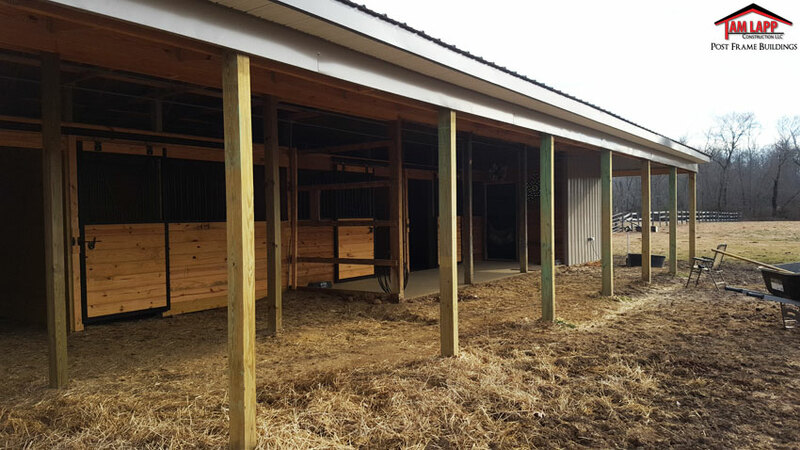 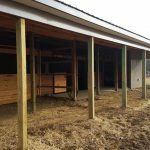 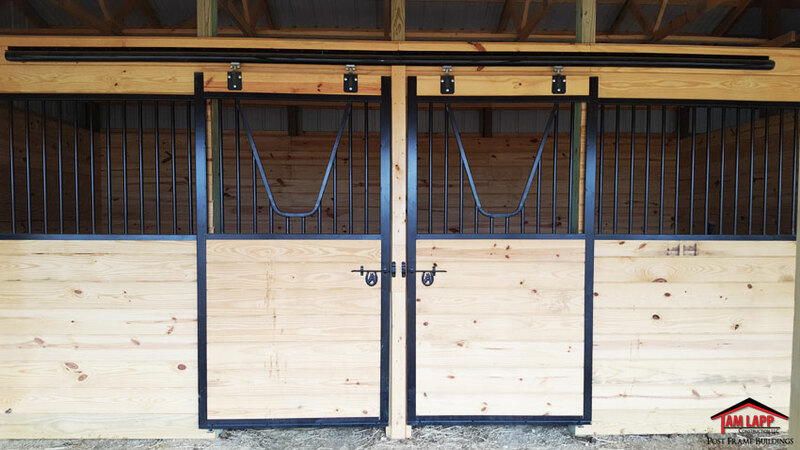 ​Horse Stalls: (2) 12’x12’x8’H Stalls w/ Black Powder Coated 4’x7’ Slider Door & 8’ Grill Section; 2×8 Interior & Exterior T&G Boards.